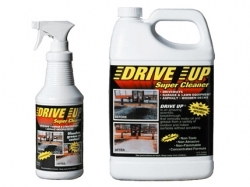 An amazing scientific breakthrough that removes motor oil, grease and heavy soils from driveways, garages, walkways, barbecue grills, lawn equipment, plastic playground equipment, wooden decks and a variety of surfaces without scrubbing. An excellent cleaner for household chores such as showers, tubs, toilets, sinks, fiberglass, etc. Safe on Concrete, Asphalt, Paint and Sealers! Removes motor oil, grease and heavy soils from driveways, garages, walkways, barbecue grills and more. Distributed by NLS Products.